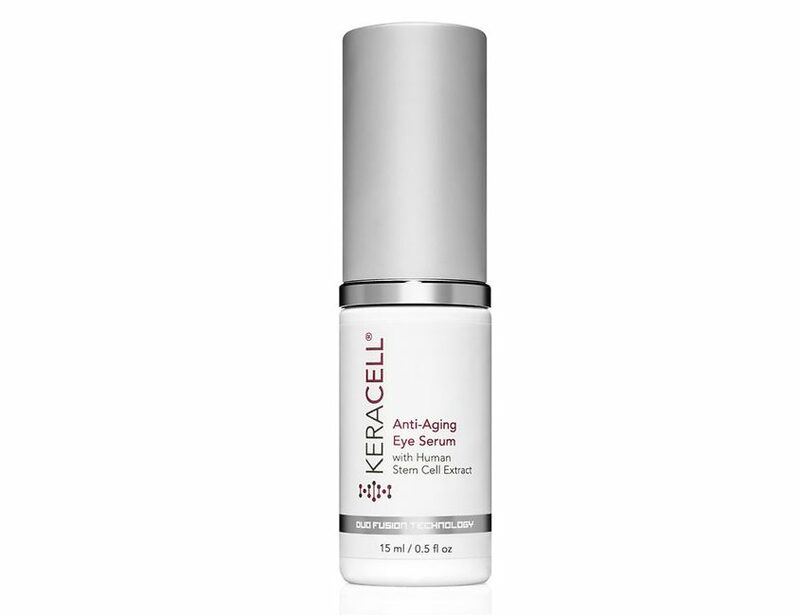 KERACELL® Eye Serum is specially formulated with MHCsc technology with potent Peptides and anti-oxidants that help reduce dark circles, puffiness, and helps to reduce the appearance of crows feet and the delicate skin around the eye area for more radiant, youthful-looking eyes. Deionized Water, Stem Cell Conditioned Media, Propanediol, Glycerin, Propyl Gallate, Gallyl Glucoside, Epigallocatechin Gallatyl Glucoside, Acetyl Hexapeptide-8, Phenoxyethanol, Ethylhexylglycerin. Apply one pump of Eye Serum to clean finger and dab onto the eye area. Pat in gently under and around the eye area. Allow to dry and then follow your normal beauty routine. For best results, use morning and evening.